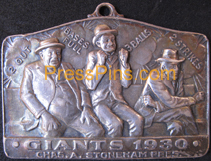 1930 New York Giants Sterling Silver Season Pass (Charles Dana Gibson's fans). Very rare. Recipient names engraved on the back: Hon. 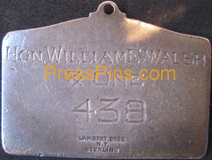 William E. Walsh & One 438. Produced by Lambert Bros. N.Y.